The bestsellling author of A Year in Provence and Hotel Pastis now surveys his territory from a different vantage point: the all-fours perspective of his dog, Boy--"a dog whose personality is made up of equal parts Boswell and Dr. Johnson, Mencken and A.A. Milne" (Chicago Sun-Times). Enhanced by 59 splendidly whimsical drawings by Edward Koren. 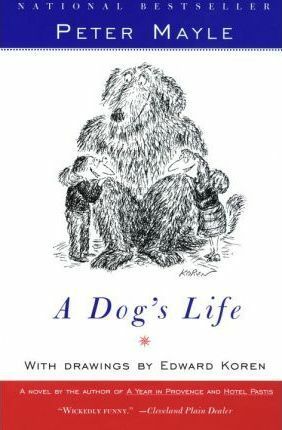 The bestsellling author of A Year in Provence and Hotel Pastis now surveys his territory from a differnt vantage point: the all-fours perspective of his dog, Boy--"a dog whose personality is made up of equal parts Boswell and Dr. Johnson, Mencken and A. A. Milne" ("Chicago Sun-Times). Enhanced by 59 splendidly whimsical drawings by Edward Koren. Peter Mayle is the author of fifteen books, nine of them novels, including the beloved bestseller A Year in Provence. A recipient of the L gion d'Honneur from the French government for his cultural contributions, he lived in Provence with his wife, Jennie, for more than twenty-five years. Mayle died in 2018.